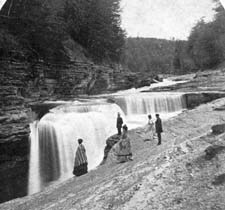 The wildness of the Lower Falls area has always attracted visitors. 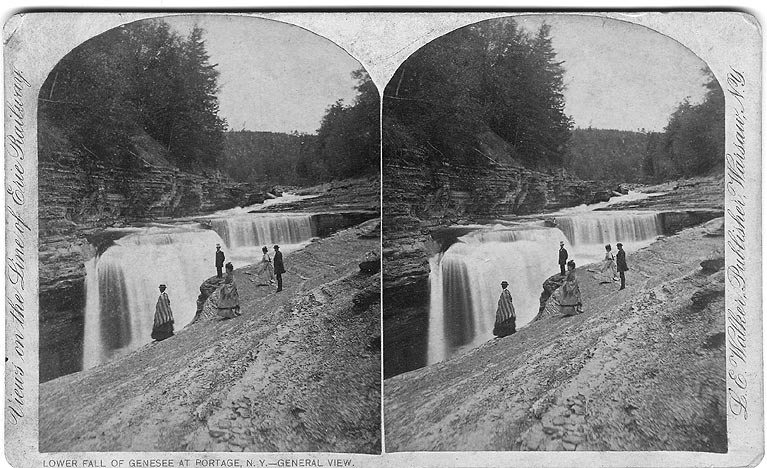 Here you see visitors in the 1870's along the "Flume" with the main falls beyond them. Today's visitors can't duplicate this photograph - the falls has receded to the bend in the background, and the stone bank they are standing on has been blasted away to create a footpath to the Stone Bridge. See a larger image below.